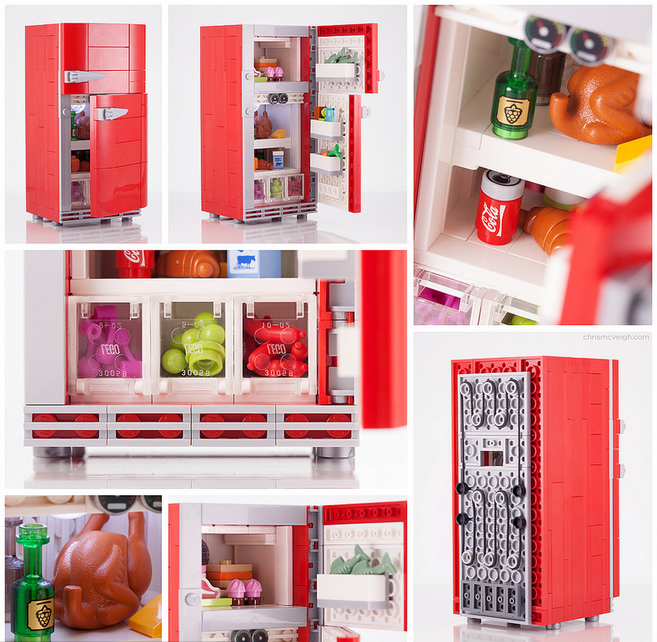 Flickr member and LEGO Fan Chris McVeigh a.k.a powerpig has created his beautiful two door, retro, red fridge with full of details. Details vary from fishes to turkey, from wine to custom printed coke can. I like the cooling system in the back the most.